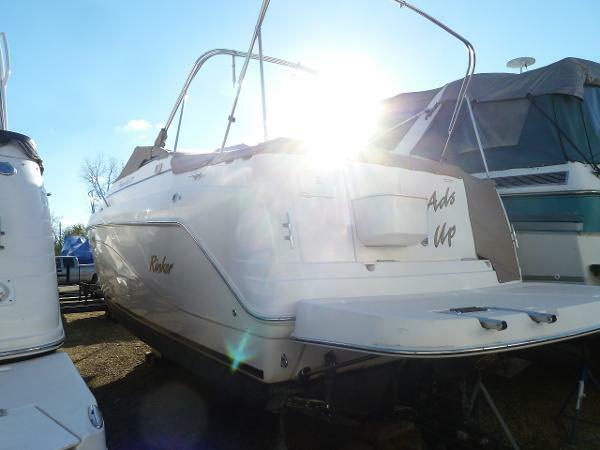 VERY CLEAN AND WELL KEPT, 1 OWNER BOAT! Looking for a compact cruiser that is loaded with great features! 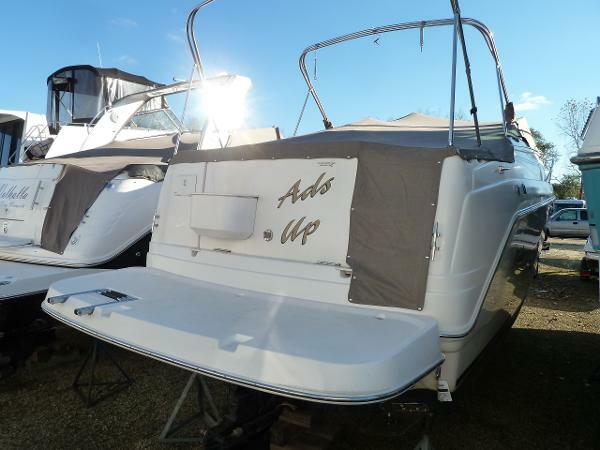 Take a look at this 270 Rinker, Powered by a 300HP 350 MAG MerCruiser with Bravo 3 Drive. This boat is equipped nicely, some notable features include Air Conditioning/Heat, Nice NEW Full Camper Top Enclosure, Cockpit Cover, NEW Cockpit Carpet, VHF Radio, Lenco Electric Trim Tabs with LED Indicators & Windlass Anchor! From the moment you see this 270 you can tell it was cared for since new. The exterior is beautiful and shines! Step aboard on the oversized swim platform and the large Cockpit is attractive with New Carpeting and all the Upholstery Looks Like NEW. The Cockpit Wet Bar with Trash is a nice feature, the Dash looks very crisp and clean with no fading, the double wide helm seat has a flip up bolster and the walk through windshield gives easy access to the bow! Walking into the cabin is impressive, the condition is Like New, the head room is sure to impress & the cabinetry is nicely done. The forward dinette is extra large and can be made into a huge double berth. The mid cabin is very easy to access and there is plenty of room for 2. The head is fully fiberglass lined making it easy to clean and the availability to shower through a pull out faucet is convenient. 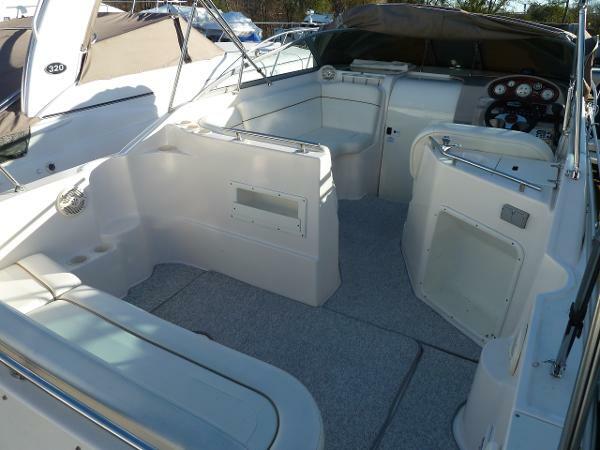 Overall I am confident the boat is sure to impress and even though it is 14+ years old the boat looks and feels much newer, has a very easy and well cared for life on the water! If you have any questions or would like to set up a time to view please contact us today!